On April 1, police nationwide began enforcing rules requiring most big rigs to use electronic logging devices to record driver hours. While truckers have long been barred from driving more than 11 hours a day, the new ELDs prevent them from fudging their times on paper logs. That means more trucks are likely to be parked when drivers hit their limits. The ELD rules add another choke point for freight prices, which already are pinching earnings at companies from Cheerios maker General Mills Inc. to retailer Ross Stores Inc. A driver shortage, surging demand and rough weather already have pushed spot rates up 28% this year through March 23 compared with a year earlier, according to data compiled by Bloomberg. Even longer-term contract rates, which are more stable than short-term spot prices, are expected to rise 12% this year, according to consulting group FTR Transportation Intelligence. That would be the highest increase in more than a decade. Contract prices rose just 3.9% last year. The ELD rules divided big trucking companies and independent owner-operators. Most large trucking companies adopted ELDs years ago to ensure that they complied with limits on hours and to eliminate the hassle of driver paperwork. But smaller and independent drivers resisted the change. 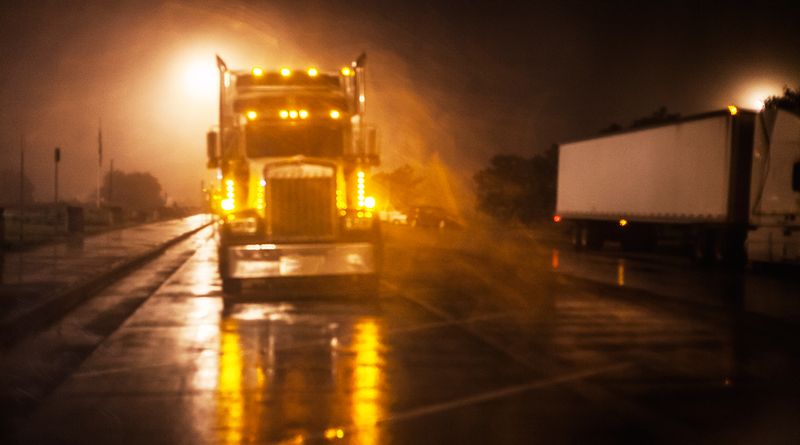 American Trucking Associations supported the regulations, saying they made highways safer, while the Owner-Operator Independent Drivers Association railed against the requirement as another regulatory burden. The ELD rules went into effect in December, two years after the final rules were published, though enforcement didn’t begin until April 1 for most trucks. The devices log driver hours, which have to be turned over to regulators and can be checked by authorities during routine inspections or traffic stops. After 11 hours on the road, a driver must rest for 10 hours. A no-frills gadget costs less than $100, while ones that communicate wirelessly with a dispatcher incur airtime charges of about $50 a month. About 70% of truckers who have begun using ELDs said they earned less money, and 65% said they were forced to drive fewer miles, according to a February survey mostly of owner-operators by DAT, which matches truckers with customers. Analysts have estimated that the regulations will reduce trucking capacity between 2% and 5% by making it harder for drivers to cheat and squeeze in extra miles to reach a destination. The disruption even has spread to railroads, especially in drayage, the service of hauling seaborne shipping containers from ports to rail yards. “Drivers making longer drays are now sometimes unable to complete those moves, and drivers making shorter drays are now sometimes unable to make as many trips per day as they could before ELD implementation,” said Amy Casas, a spokeswoman for the BNSF Railway unit of Berkshire Hathaway Inc. Independent owner-operator Paul Sansoucy, 75, said he had planned to drive for another three years but sold his refrigerated truck in September. The ELD requirement is less about safety than large companies trying to squash competition, argued Sansoucy, who said he was accident-free in five decades behind the wheel.